The past few weeks in New England has brought us lots of cold temperatures and even some snow. Yet somehow I am thinking about my queue and spring knitting. Knitting for fall and winter seems like a more natural choice. At some point in early fall we just want to wrap ourselves up in as much wool/alpaca/llama as possible. And we know that even if we start a sweater at that point, we will still have plenty of time to wear the FO. But spring presents a different challenge for us knitters. If you are like me, you can’t bear to not have knitting. But at the same time, I don’t want to work with the wool/alpaca/llama that I normally love during the colder months. Luckily, Class Elite has some great spring/summer yarns, including Sprout, Seedling, Cricket, Firefly, Provence, Sanibel, Soft Linen, Magnolia, Solstice, ClassicSilk and two new yarns Canyon and Mesa. We are almost ready to share our spring collection with you and I personally can’t wait. The collections are full off cardigans, pullovers, shawls, tank tops, tees, and accessories. There is even a dedicated booklet for crochet! Keep checking back in the next few weeks to see previews of our new booklets and to find out more about our new yarns. 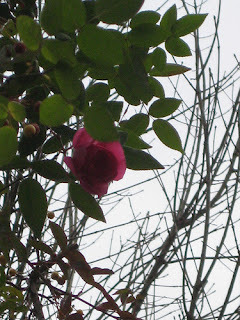 In the meantime, think spring! Like most knitters, I can’t wait to see the newest issues of knitting magazines. I have been known to stalk my local bookstore and LYS to glimpse the newest issues. I may have even visited multiple locations to see who gets the new issues first. When the newest issue of Knitscence came across my desk, I put everything aside to page through it. I noticed there were a few items knit from Classic Elite Yarns and I wanted to share them with you. First up is the Morning Glory Mitts & Tam set from Catherine Shields. Catherine used MillaMia Naturally Soft Merino. The set features a cable and lace pattern that reminds me of the first buds of spring, pretty and delicate. 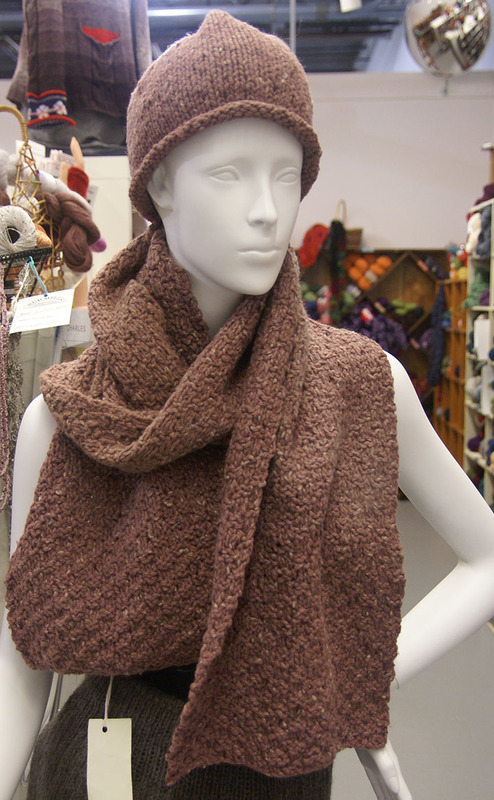 The twist of the Naturally Soft Merino is a perfect fit for this pattern. The twist and spring of the yarn allows the pattern to pop, while the warmth of the merino will keep you toasty from these last days of winter to the first chilly days of spring. I always have a special place in my knitting queue for cardigans. And no exception to this is the Smokey Rose Cardigan by Maria Leigh. Knit in Soft Linen, this cardigan is a great layering piece that can be worn from early spring into late fall. And Soft Linen comes in so many great colorways, there is something that is sure to catch you eye. Knit in one piece from the bottom-up, the simple cardigan features a flower stitch on the yoke that is accented by small buttons - clever! All of these patterns are making me think about spring knitting - I foresee my WIP list growing. Check with your local LYS to check out the newest issue of Knitscene. Photos courtesy of Interweave Press, Nathan Rega, photographer. Every month from January to June we introduce two new colors of Liberty Wool. They are always gorgeous colorways, and this month’s colors are no exception. 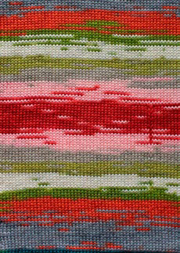 Faded Brocade consists of reds, oranges, pinks, greys and greens. This colorway is a great way to brighten up your winter blahs. They only thing better to chase away winter blahs is Caribbean Tidepool, which coincidentally is the name of our second January colorway. 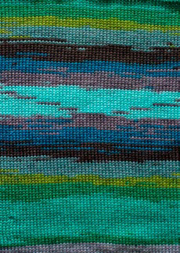 The greens and blues of this yarn will transport you to an island getaway. Of course you will need some new patterns to go with the new colors of Liberty Wool. Right? 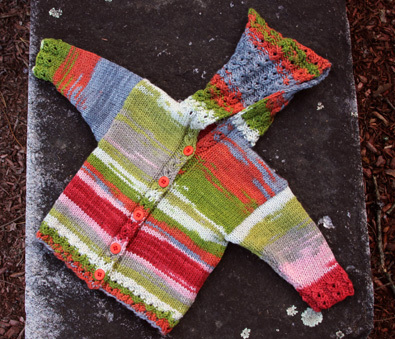 Liberty Wool is a great yarn for children’s sweaters (two words – washable wool); keeping that in mind, designer Tonia Barry created this adorable baby sweater. The mock cable pattern on the trim and hood is appropriate for either a boy or a girl. And there is still time to make a scarf for this winter. Why not try either the Diagonal Striped Scarf or our Two Direction Scarf. Both designed by Susan Mills, the patterns use the long color repeats of Liberty Wool to get the maximum effect. Yarn Stores who subscribe to our Liberty Wool program currently have the three new patterns shown above. But what happens if you LOVE one of these patterns and your yarn store isn’t part of our program? Fear not, you will be able to download the patterns from Ravelry starting February 1 (or you can urge your LYS to take part in the subscription fun now - it's not too late for them to sign up!). 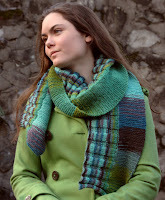 Classic Elite Yarns is happy to introduce the newest member of our team, Claudine Monique. Claudine will be our social media face, as well as have other day-to-day responsibilities at CEY. We sat down with Claudine to find out a little more about her…and her knitting. I learned to knit as a child, but put my needles aside shortly thereafter. I had wanted to pick them back up off-and-on thought out the years, but never seemed to manage to find the time. I relearned to knit in 1999 after asking my mother to make me a sweater. She explained that she would be happy to make me a scarf, but didn’t want to knit a whole sweater. My reply was ‘if I wanted a scarf I could make myself a scarf.’ When I went home for the holidays that year, I asked my mother to remind me how to cast on. As soon as I got the needles back in my hands, the muscle memory kicked in and I knew what I was doing. I thought I might make myself a scarf (pictured below), maybe a hat. Little did I know that I was starting a new hobby that would become a passion. What is on your needles right now? I always have several things on my needles. 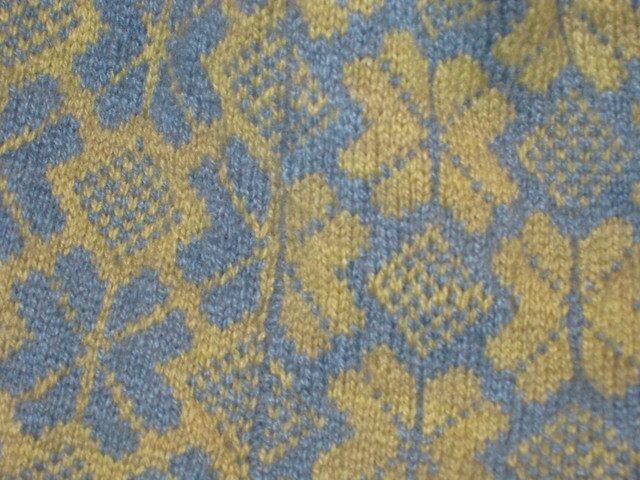 But my ‘main project’ right now is the Holden Shawletteby Mindy Wilks in Alpaca Sox. I also have a Fair Isle cowl, a cardigan, a pair of socks for my brother, and a mitered square blanket (my long term project). Do you have a favorite type of project? I tend to make a lot of socks. When I lived in New York City, they were a great subway project, as long as I kept the pattern simple. Unfortunately for me they are usually gifts for other people. I also love to knit top-down sweaters. I love that you can try on the sweater as you go. Who is your knitting hero? Can I choose more than one? I adore Elizabeth Zimmerman. I love her style of writing. Not to mention that she was a total knitting genius. Her use of simple stitches to make fabulous finished objects is astonishing. I am also in awe of Barbara Walker. Her stitch guides are pretty incredible. I can’t imagine doing all of that chart work by hand. I am also inspired by many of the knitters that I have met through the years. No matter their skill level, everyone has taught me something new - even if it just another way to see something, that I have taken for granted. I hold a Bachelor’s of Fine Arts from Savannah College of Art and Design, majoring in Fashion. I started my career working for in the garment center for a private label dress company as an assistant. I did everything from cutting the samples to sourcing fabric and buttons. I held other positions in other private label companies, all with varying types of assistant work. I think my favorite title that I have held was Shopper. A big part of that job was to go to local store and see what our competition was doing and research trends. It was a lot of fun. After about 8 years in the fashion industry, I decided that I wanted to make a change and started looking for positions that would combine my skills with a new direction. I stumbled upon a small private college in New York that taught the business of fashion and was looking for an assistant in their Institutional Advancement department, which includes Marketing, PR, Fundraising, Development and Alumni Affairs. It was a perfect fit. I have also had a few patterns published and am hoping to contribute some to Classic Elite Yarns. About 8 months ago, I started assessing my life and I came to the conclusion that I wanted a smaller life and slower pace than New York City could offer me. I grew up in the Midwest and the hustle and bustle of the big city was never an easy fit for me, I was ecstatic when the position at Classic Elite Yarns was announced. Do you have any other hobbies, besides knitting? Wait, there are other hobbies besides knitting? In all seriousness, I love doing anything that is considered creative or crafty. I currently have a few needlepoint projects that I am working on. I used to be an avid sewer and am hoping to get back to that. I am also hoping to take a weaving class in the near future and maybe even a pottery class. What are you looking forward to most working for Classic Elite Yarns? I am really looking forward to being in a creative environment. I had my first CEY photo shoot last week, and while it was very cold out, it was really exciting. Connecting with all of our customers and getting feedback from them is something else I am really interested in. 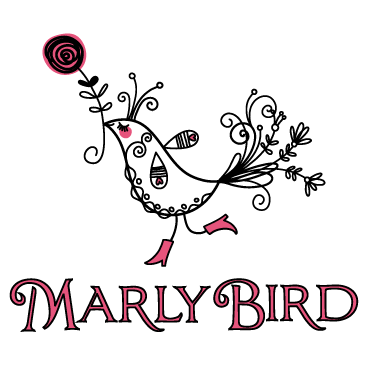 I am hoping to increase our presence on Twitter, Facebook, Ravelry and other social media platforms in the coming months. And being surrounded by yarn all day long…that’s not half bad either. I heart cowls. To me, they are the perfect winter accessory. Cowls can be stylish and warm at the same time, and depending on the situation, more convenient than a scarf. They are quick to knit and can be a great way to highlight a stitch pattern or technique. Cowls are also a great way to add a pop of color to any outfit. A great example of this is the Inspira Cowl by Marcy Clark (aka celerystalk on Ravelry). Knit in the round, the Inspira Cowl is a great introduction to Fair Isle, using a corrugated rib pattern with 2 different colors of yarn. You can only imagine my surprise when yesterday morning I logged onto Facebook and saw that Colorful Stitches announced that they were hosting a knit-a-long for the Inspira Cowl using Liberty Wool! You can join their knit-a-long here. Betsy Perry, President of Classic Elite Yarns will help judge the winner for the knit-a-long. 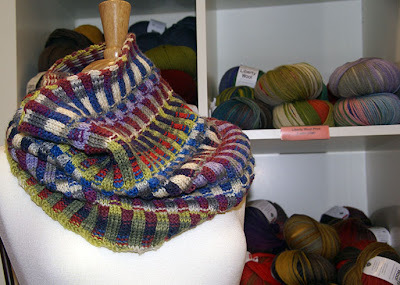 Have you made an Inspira Cowl using Liberty Wool? We would love to see it. 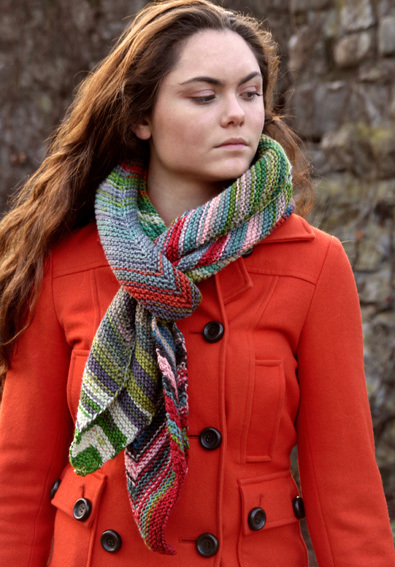 Post your pictures to our Facebook page or send them to us at info@classiceliteyarns.com. The Winter 2012/13 issue of Vogue Knitting features a couple of sweaters that were knit in Classic Elite Yarns. The first is the Patchwork Pullover designed by Mari Lynn Patrick. It uses Montera, La Gran, Kumara and Majestic Tweed. The pattern is available in Small, Medium, Large, X-Large. The color work and textural stitches make for an interesting knit. The other sweater that was knitted in Classic Elite Yarns is the Round Yoke Tunic by Hitomi Shida. The tunic was knit in Wool Bam Boo in #1658 Tomato. The pattern is available in Small/Medium and Large/X-Large. Pretty lace panels are separated by columns of stockinette stitch. The short sleeves make it a great layering piece for winter and a perfect tunic for spring. The tunic is also going to be part of an auction at the upcoming Vogue Knitting Live! to benefit Stitch Red's partner organization - the National Heart, Lung and Blood Institute's The Heart Truth. Classic Elite Yarns was happy to donate the yarn for this great cause. If you are going to be in New York for VKLive, please stop by and check out the tunic. If you win, you can still tell people you knit it…we won’t tell anyone. It’s human nature, as the New Year approaches we start thinking about what we want to change in the upcoming year. For many of us it is about make resolutions. And while eating healthier and going to the gym more often are great resolutions, how about a knitting resolution? Maybe a new technique, or finish that project that has been stuffed in the bottom of your closet for a few years now, or maybe even just organizing your stash. Last year my knitting resolution was to learn Fair Isle. At first it was daunting, but after a few tries I figured out how to hold my yarn in the other hand and work both colors at once. And while I have not finished my project, Funchal Moebius by Kate Davis, I feel I have mastered the technique. So what do I do this year? For most the answer is obvious. Steeking. But let’s be honest…that scares me too much. 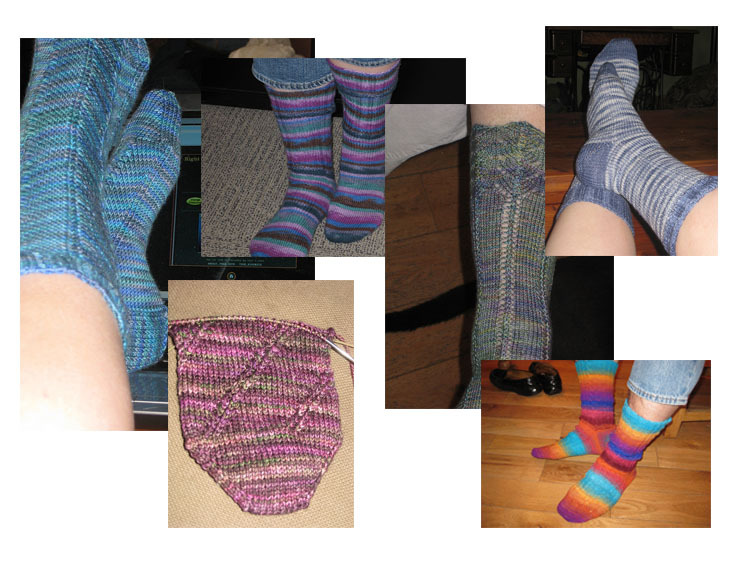 I make a fair amount of socks, and while I don’t suffer from SSS (second sock syndrome), I have always been intrigued by the concept of knitting 2 socks at once, one inside the other. 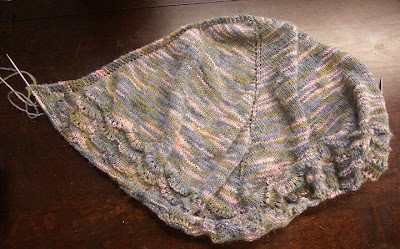 Kory Stamper wrote a tutorial about it on Knitty a few years ago. And while I was immediately taken with the idea, the thought of holding yarn in both hands was just too much for me. But now that I have mastered the Fair Isle technique, I think I am ready to try this new adventure. Using Liberty Wool Light, I am going to use a basic sock pattern to start with, just simple stockinette. I plan to start in the next few weeks, so check back and see my progress. What are your Knitting Resolutions for the New Year? We’d love to know!